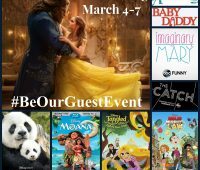 To help you get ready for the Beauty and the Beast Sing-Along, details on participating locations, activities to get ready, and more. 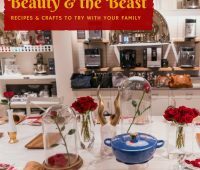 Details from a Beauty and the Beast interview with director Bill Condon and music composer Alan Menken, learn about the making of Beauty and the Beast. 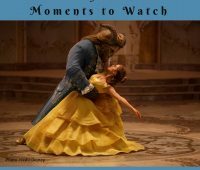 Our Beauty and the Beast movie review includes the best Beauty and the Beast moments to watch and what may or may not be scary for your child. Details from a Beauty and the Beast group interview with Audra McDonald and Gugu Mbatha-Raw. 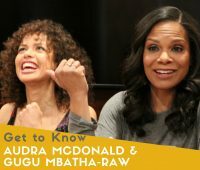 Learn more about Audra McDonald and Gugu Mbatha-Raw. Details from a Beauty and the Beast group interview with Luke Evans and Josh Gad. Learn more about Josh Gad and Luke Evans and their roles. 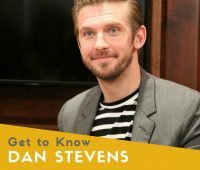 I was able to participate in a Beauty and the Beast group interview with Dan Stevens. Learn about Dan Stevens in this article and his role as the Beast. I was able to participate in a Beauty and the Beast group interview with Emma Watson. Learn more about Emma Watson in this article and her role as Belle. 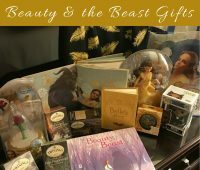 Jenn shares her excitement for the Disney Beauty and the Beast Be Our Guest Press Junket. Read why she’s excited and see how you can be a part of the fun.